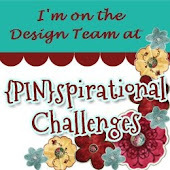 My lovey teamies, Sandie and Nonni from Inkspirational, also have their own challenge Time Out. I was moaning about so many challenges closing down over Christmas , when I actually have more time to take part due to not being at work, and Sandie pointed out that Time Out would be open as usual. So I promised I would enter their challenge, whatever it was and it is...Christmas is Love with all the trimmings. 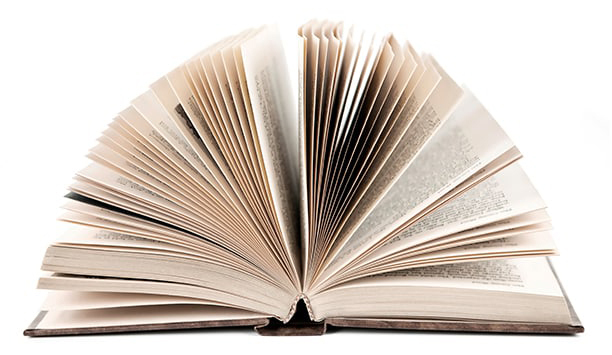 Luckily you can pick any of the words from the sentence and I have chosen 'love'. The dog is from Bugaboo and I coloured him with Promarkers , a white sharpie and paper-piecing with Basic Grey paper. 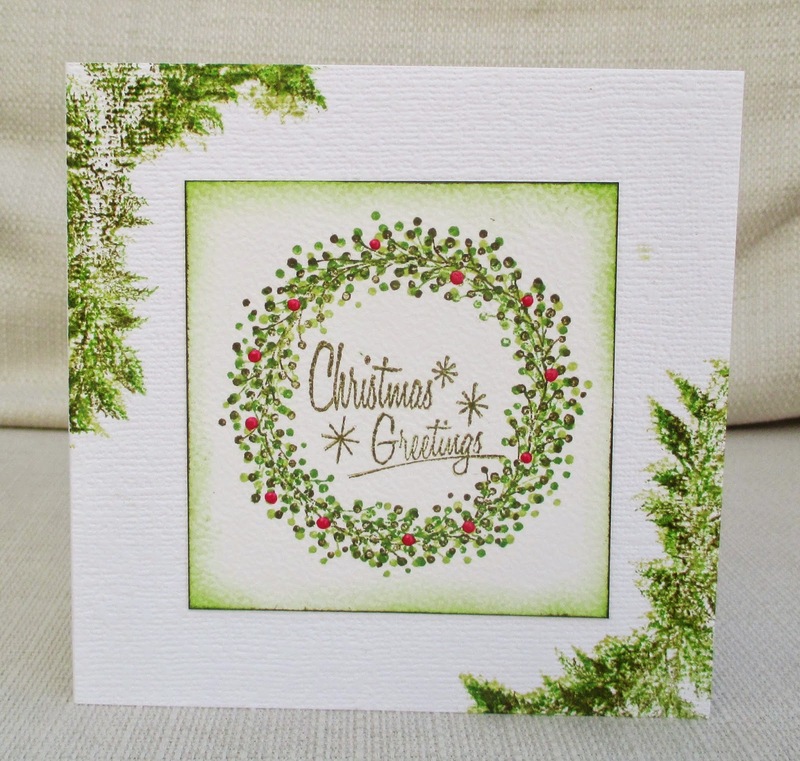 I stamped the sentiments ( Clearly Besotted and Docrafts), smudged white ink around the edges and layered onto more pattened paper. 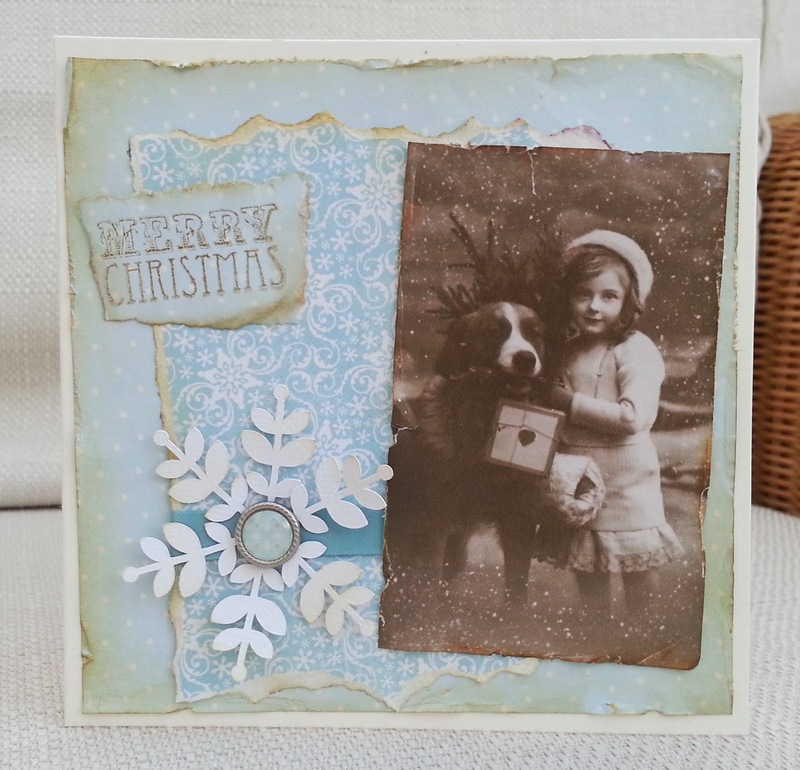 A few weeks ago I was lucky enough to win a prize of vintage images from Lunagirl , and when I saw their challenge of 'Winter in Pink' I thought it would be nice to use one to enter. But I am over Christmas!! So this card is a New Year card. I think the image was originally from a french New Year card because it has a NY greeting in the corner. Can you spot the continuity error in the photo? She is wearing short-sleeves in the snow! I will be heading into the snowy north myself later on today, (we have such a mild climate in England that snow is a big deal!) , and I will not be taking any short-sleeved dresses! 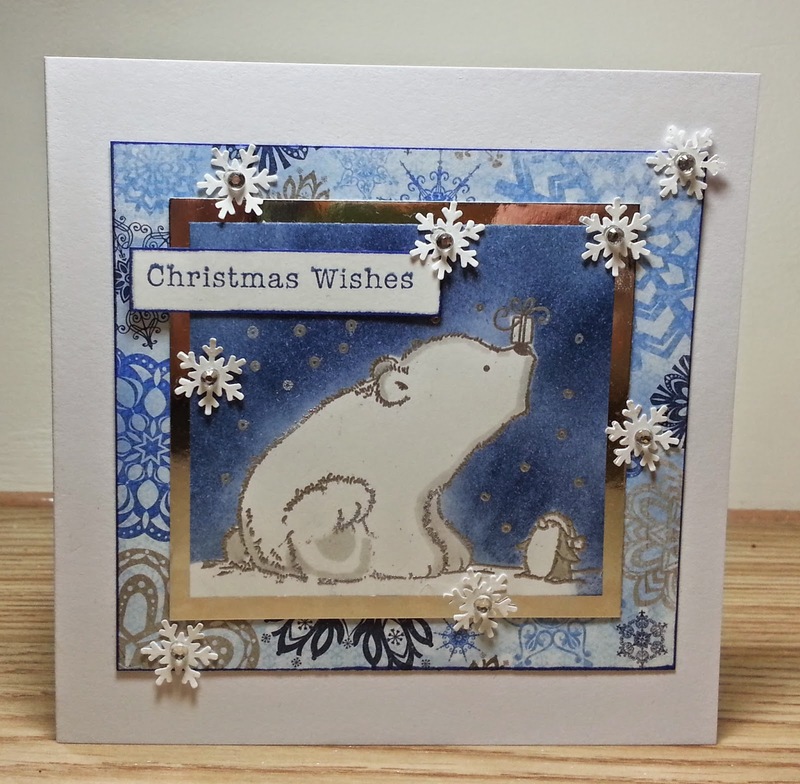 I used the old masking tricks to make a moon and snowy hills and doused them in fine, clear glitter. 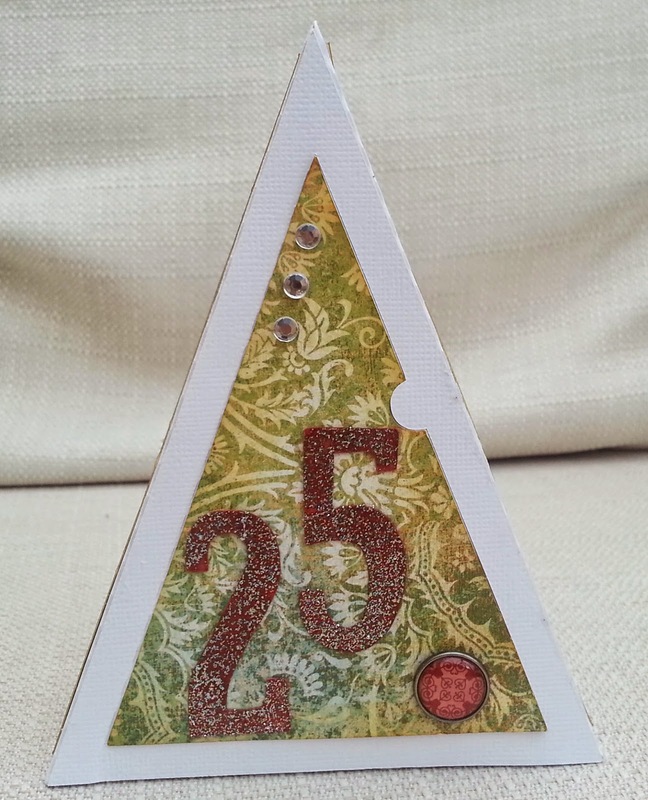 The text and sentiment stamps are by Sarah Hurley. 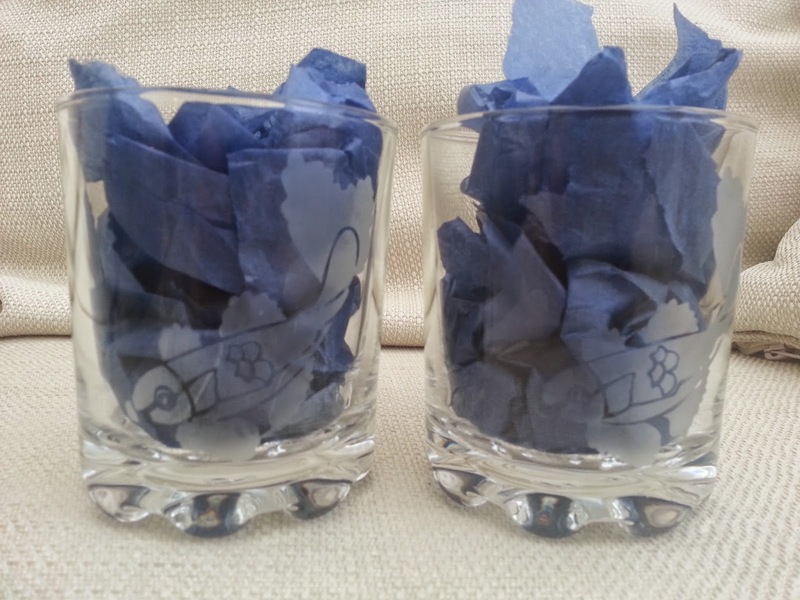 Here are some Christmas gifts I made by creating stencils using the Silhouette Cameo, and then 'engraving' glasses using etching cream. The pair of glasses at the top were for my partner's mum and her husband, who are koi carp enthusiasts. 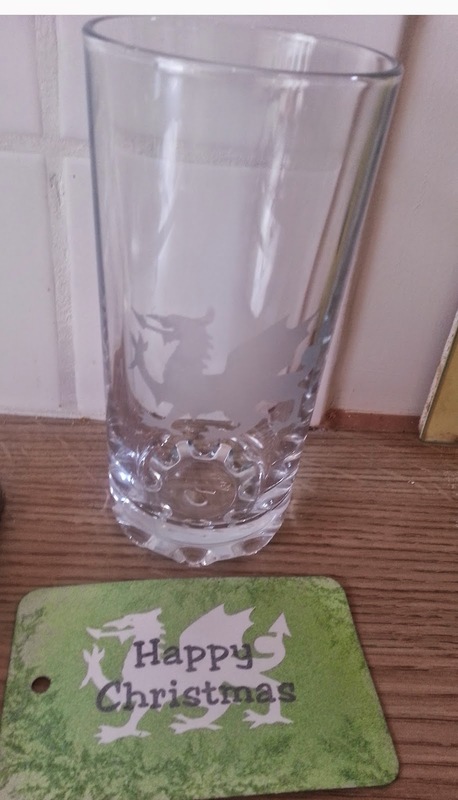 The bottom one was for a secret Santa at my partner's work - the recipient is a proud Welshman , hence the dragon. 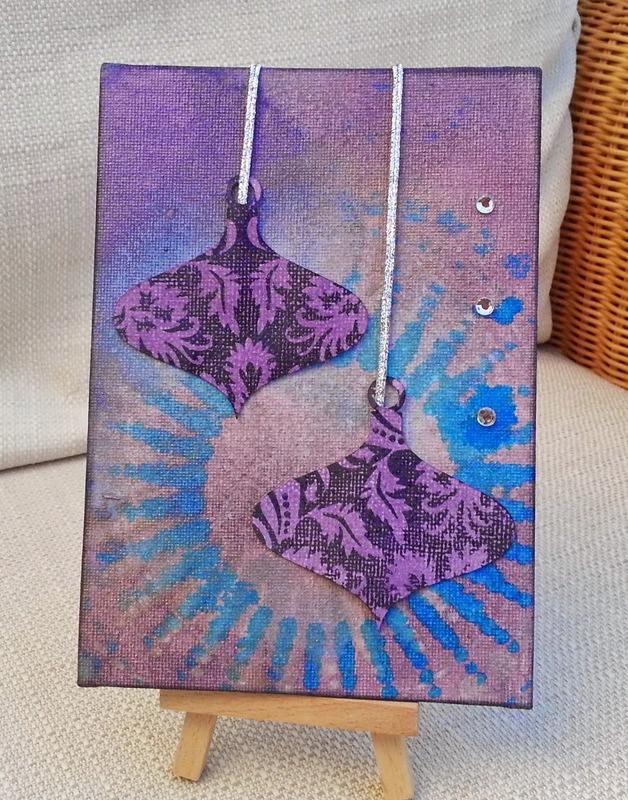 I made a matching tag using the inside of the stencil as a mask. Whatever would my partner do without me and my Silhouette? Ripped open, emptied of its glittering reindeer food and tossed into the rubbish bin...but at least I took a photo first! 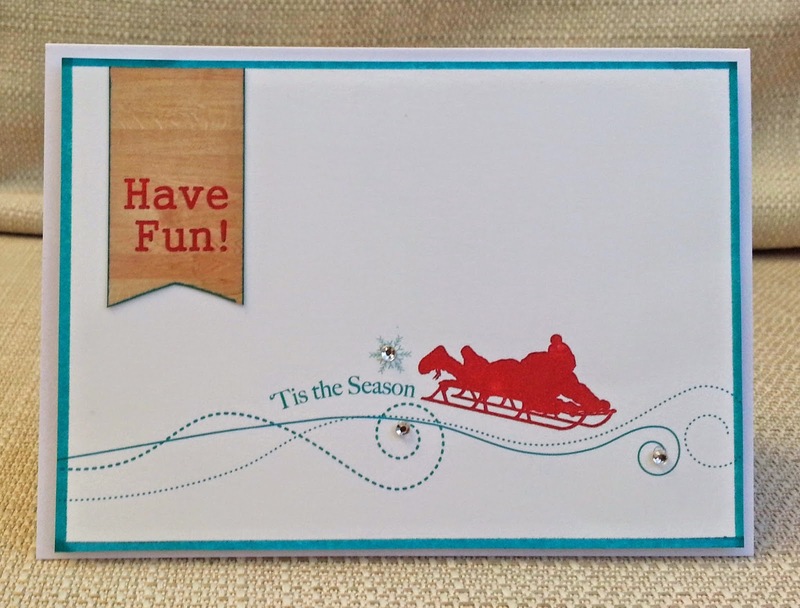 The stamps on the front are by Sheena Douglass and the sentiment on the back is Stampin Up. 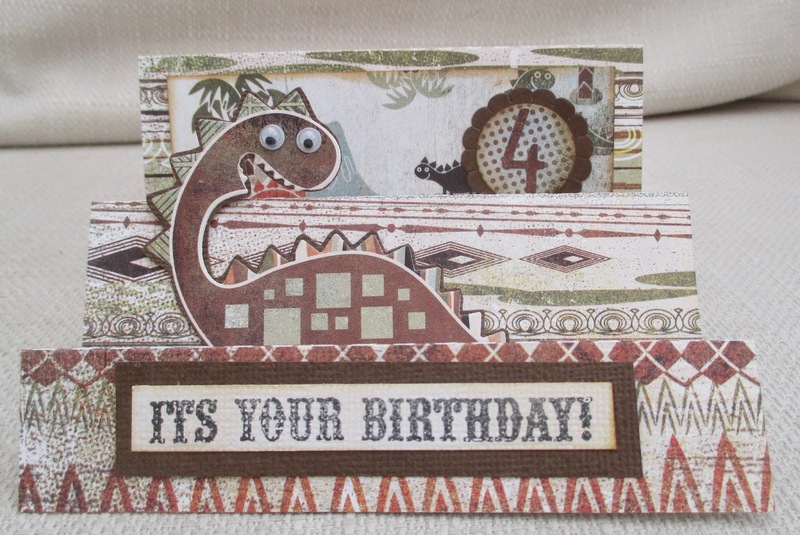 This is the card that I hope has made it across the Atlantic and is with my Inkspirational teammie, Shauna. If not Shauna, it's on its way! Shauna writes all the winners' posts at Inkspirational, and she does an amazing job of working quietly in the background and making our winners the stars. The building and the woman are stamps from a French-themed set by Sheena Douglass. I have been to France several times (relatively easy from London) , and I have noticed that they seem to have a lot more poodles than we do in the UK! 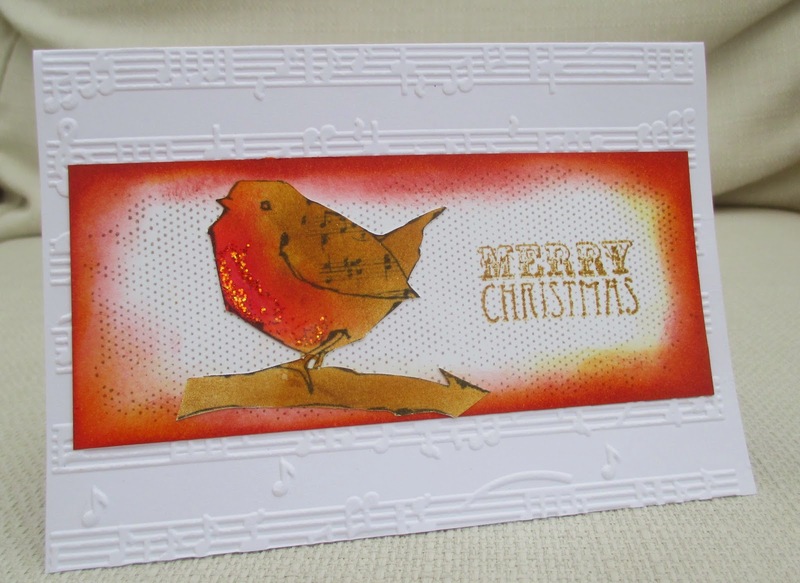 The sentiment stamp is Clearly Besotted and the birds are Indigo Blu, I think. Did you notice the paper-piecing on the dress, hat and awning? Anyway, Happy Birthday to Shauna , hope you have a lovely day and thanks for all you do. 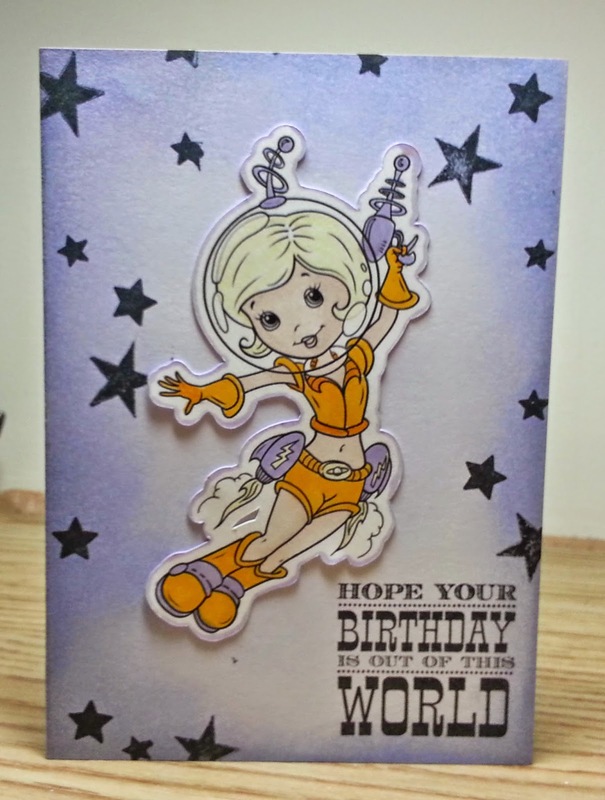 My card wasn't really planned - it sort of developed into a gothic Mary Poppins! 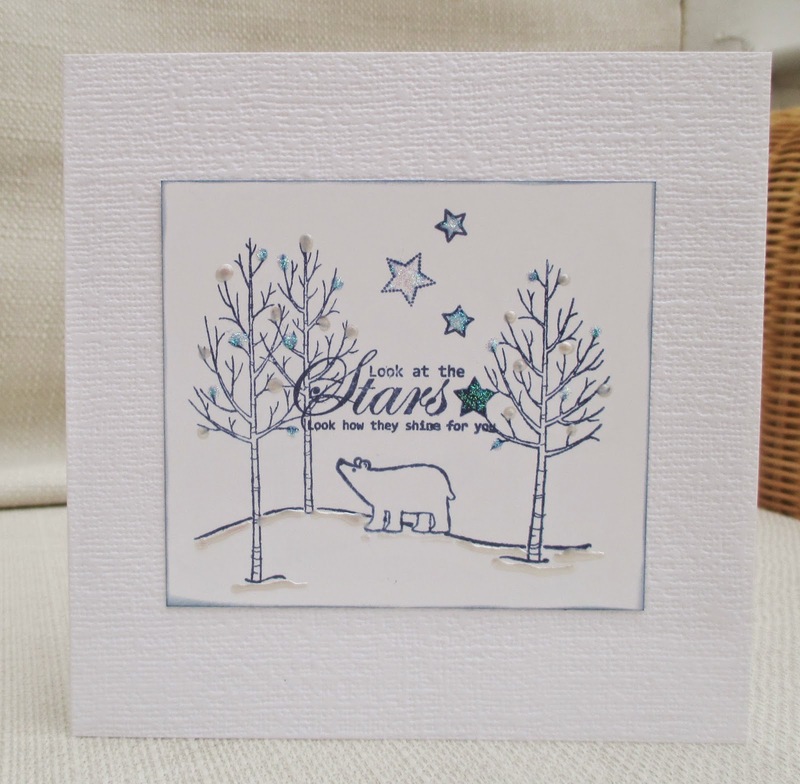 I was inspired by my team-mate , Sandie's use of splatter stamps and used a blotches stamp by Paper Artsy, embossed in silver to make bursting stars. 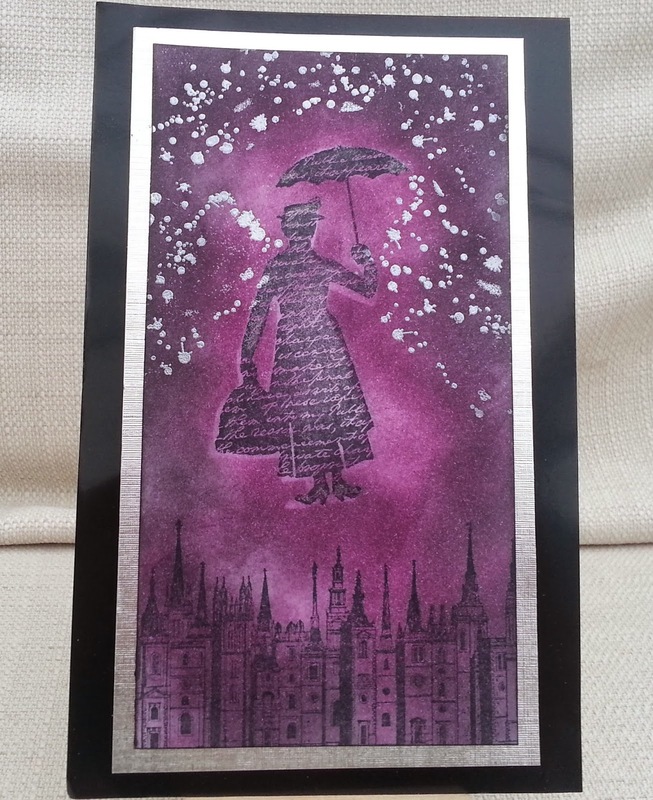 The Mary Poppins stamp is by Lost Coast and the cityscape is Crafty Individuals, and I used lots of ink in purple and black. 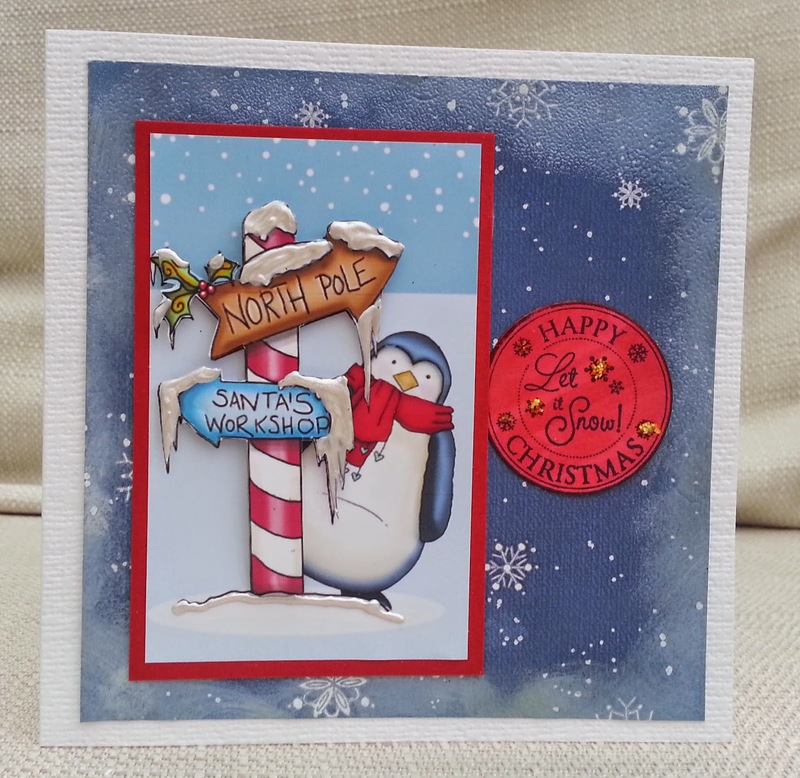 We'd love you to join in our challenge at Inkspirational, where we are joined by a fabulous Guest Designer, Karen . 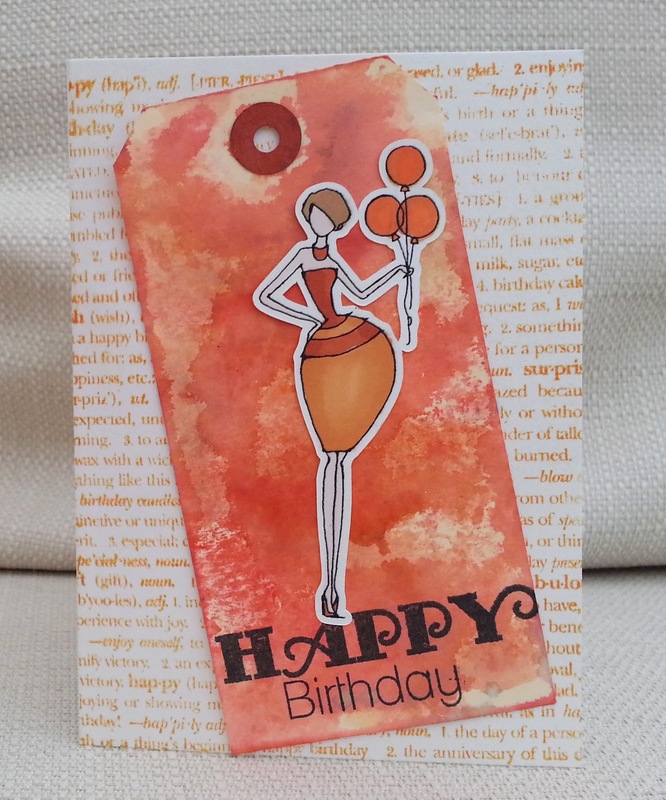 Happy Birthday to Carol, my lively, fun and talented team-mate at Inkspirational. 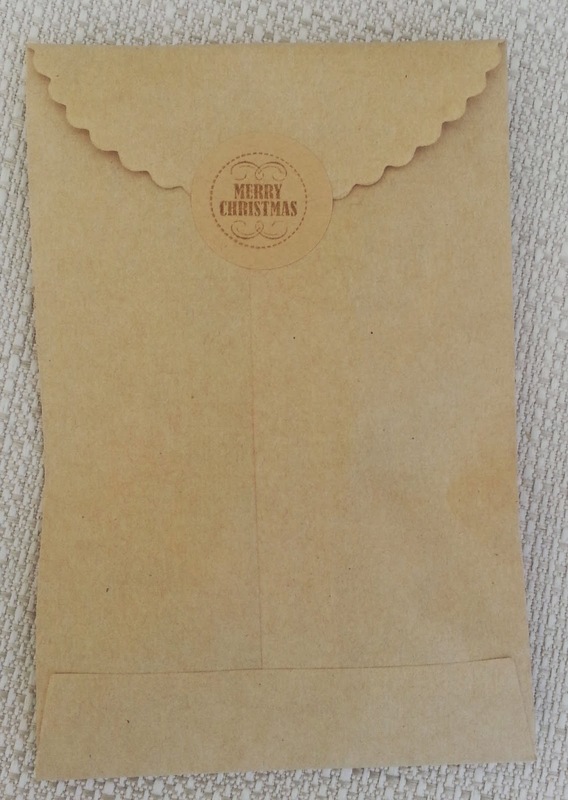 This is a photo of the card I sent her and that I hope she has received and that it's not caught up in a sea of Christmas cards between the UK and Canada. 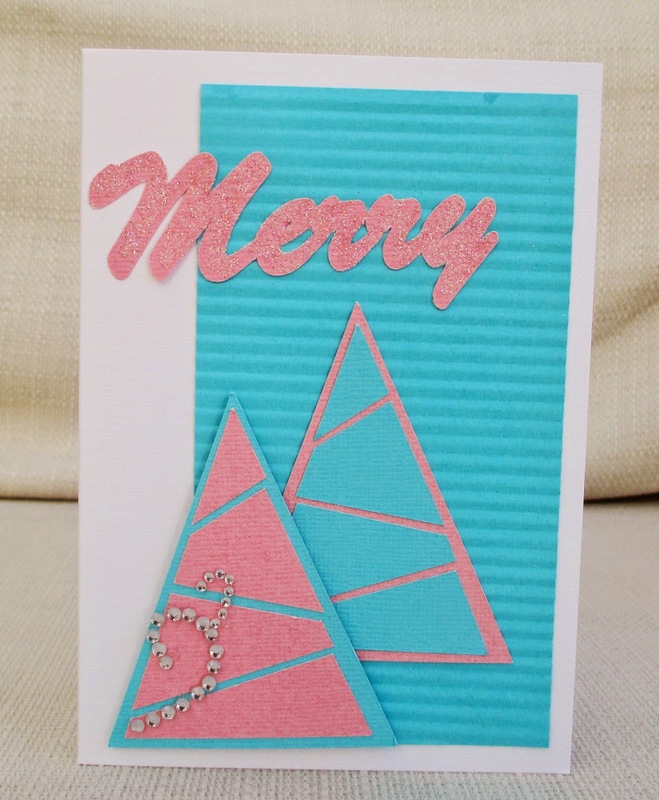 As Carol has probably got her Christmas cards up, I wanted to give this a definitely non-Christmas look. 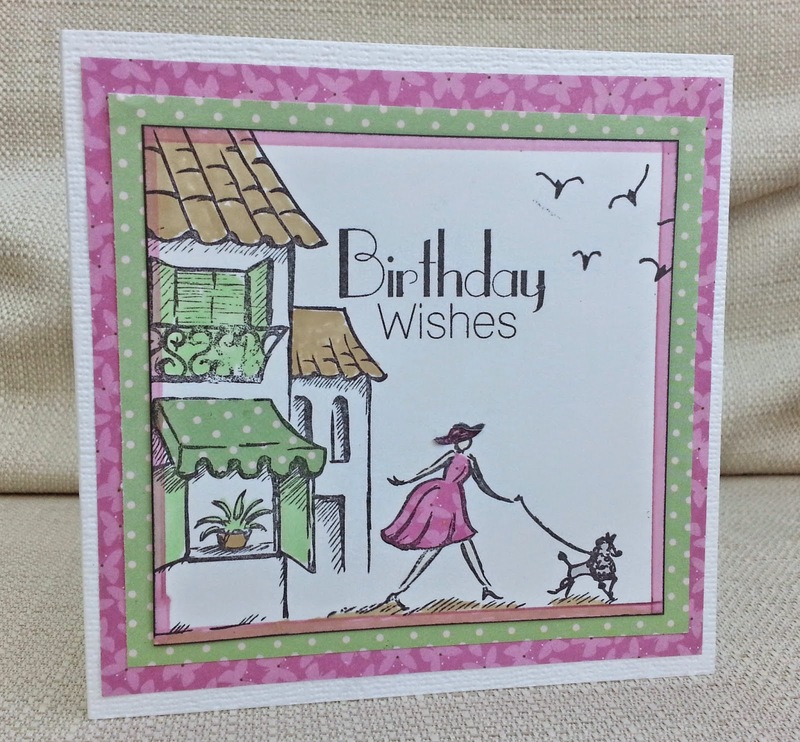 The woman is a digistamp from A Day For Daisies, the sentiment is a Clearly Besotted stamp and the text background is Hero Arts. 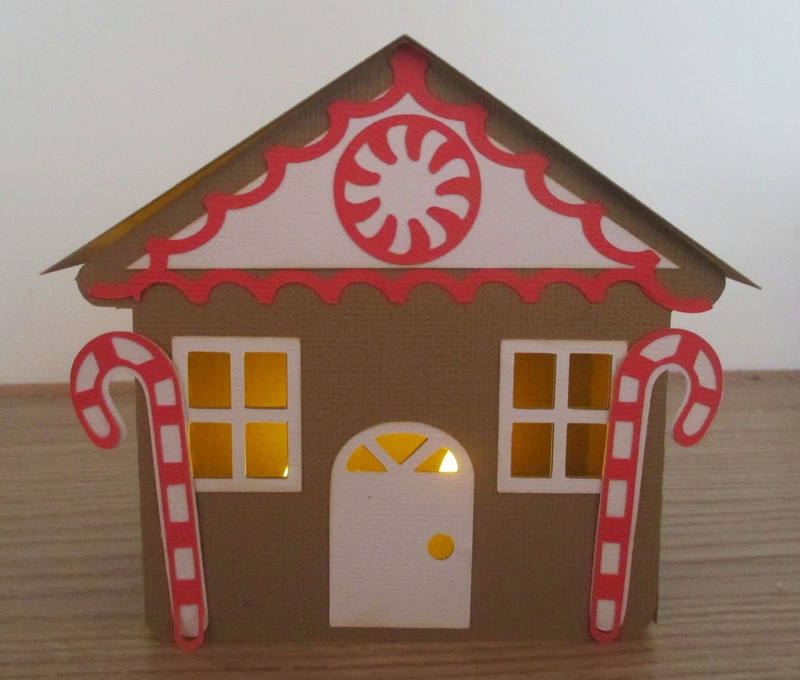 This week's challenge at Make My Monday is Nativity. 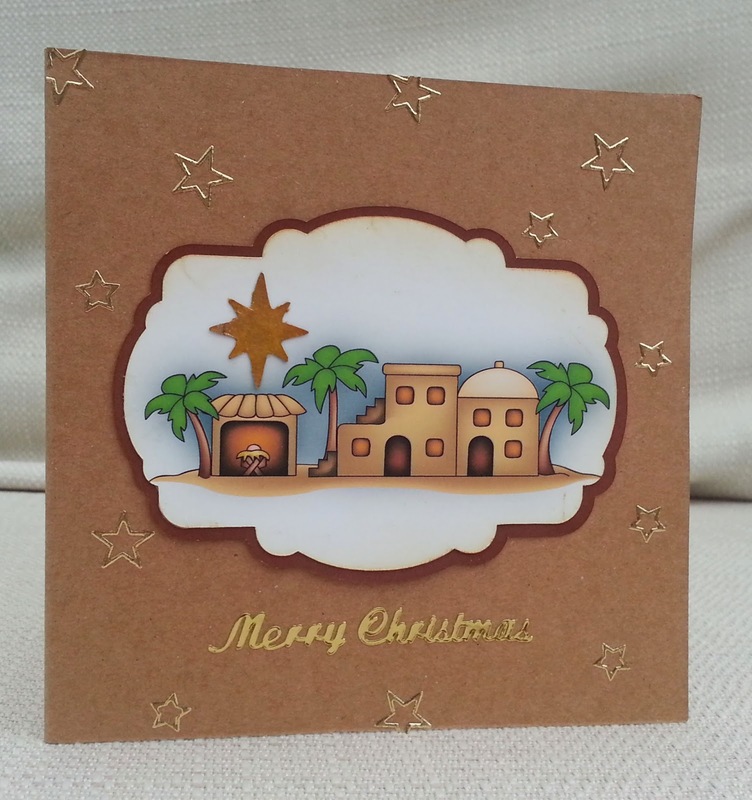 I made a tag using a stamp (unknown brand um ) of the three kings from the nativity story. 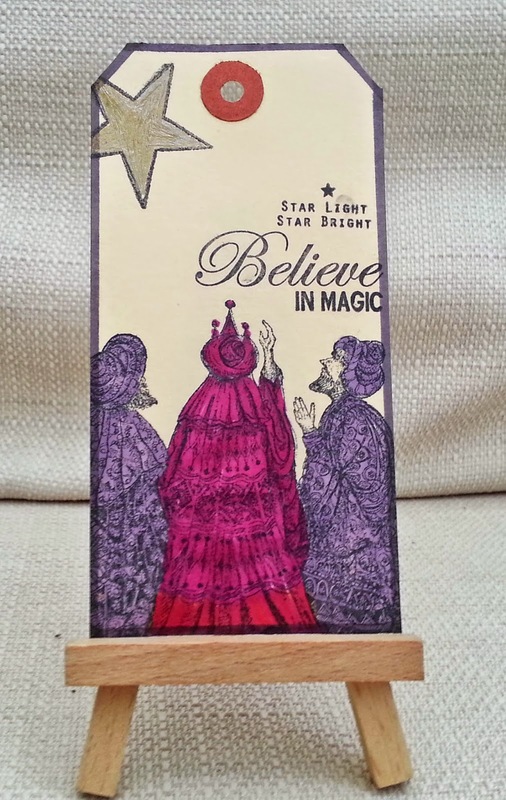 The word stamps are by Sarah Hurley and the star was a magazine freebie. I hope you'll come over to Make My Monday and join in. Polar Bear and Penguin Together! I found this LOTV stamp in my stash...I have no recollection of ever buying it! 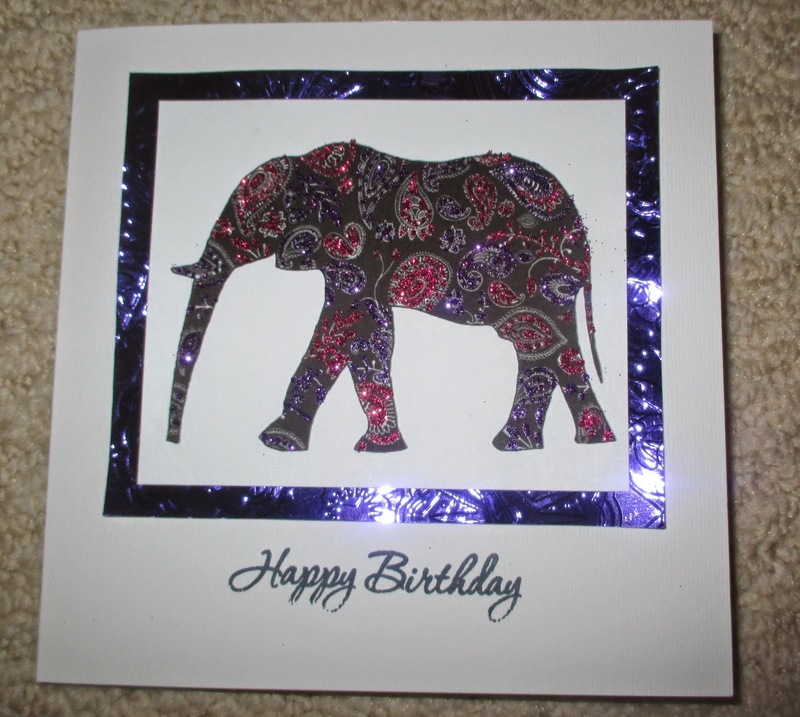 I stamped it onto white card and embossed it in silver. I masked it and inked the sky. I added shading with grey pen and highlights with a glitter pen. I punched snowflakes and put gems in the middle. 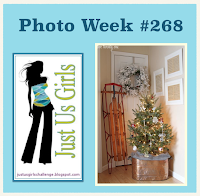 Festive 48 - Week 48!!!!!!!!!!!! Set off the fireworks! Release the doves! 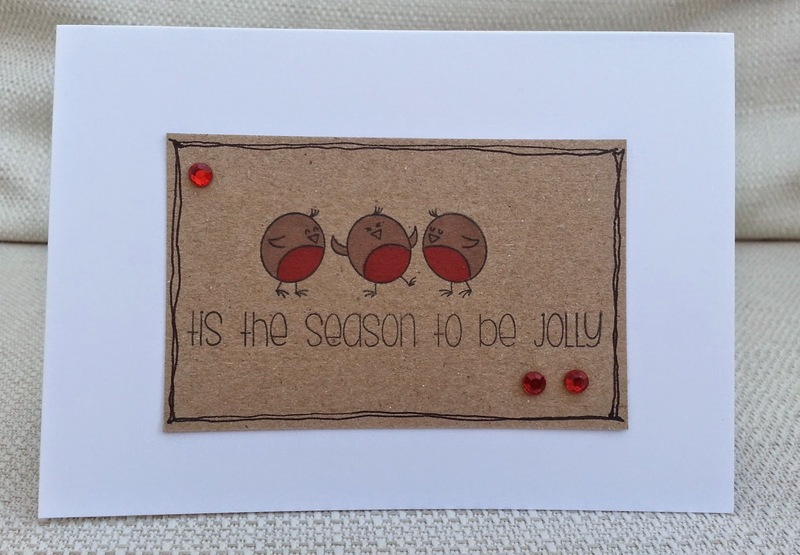 It's week 48 and my final card for my Festive 48! I'm really proud to say that I have never cheated even once - every card has been made in the week posted. Imagine if I had invested this level of commitment and energy into something like ....a diet ! ...or world peace! 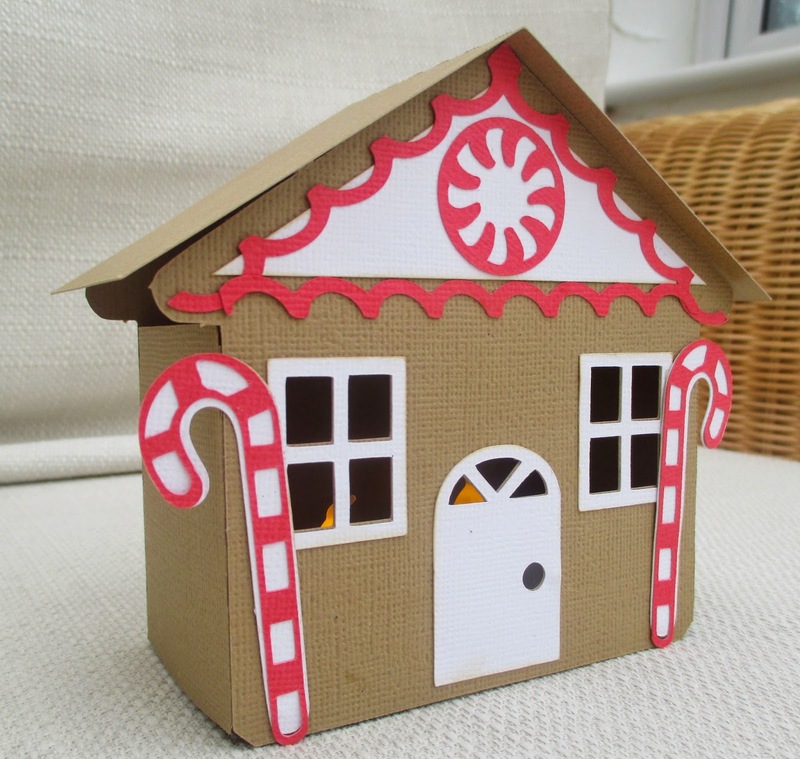 But no, all I have is a big box of Christmas cards and a sense of satisfaction that I have no last minute panic. 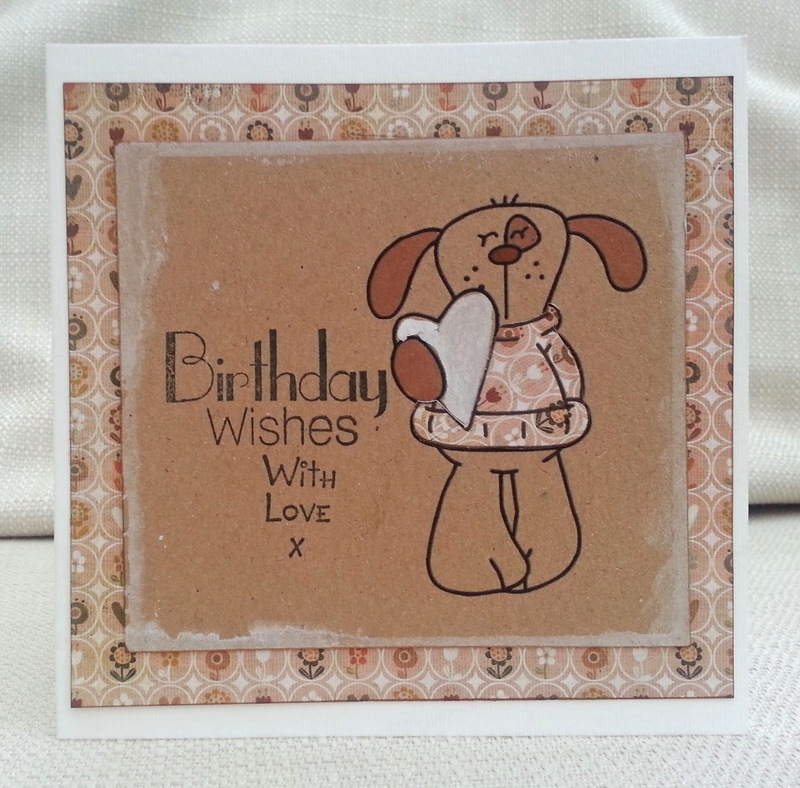 This week's card is made from two stamps from Clearly Besotted, stamped on kraft and coloured with Promarkers. The I added a doodled frame and some gems. 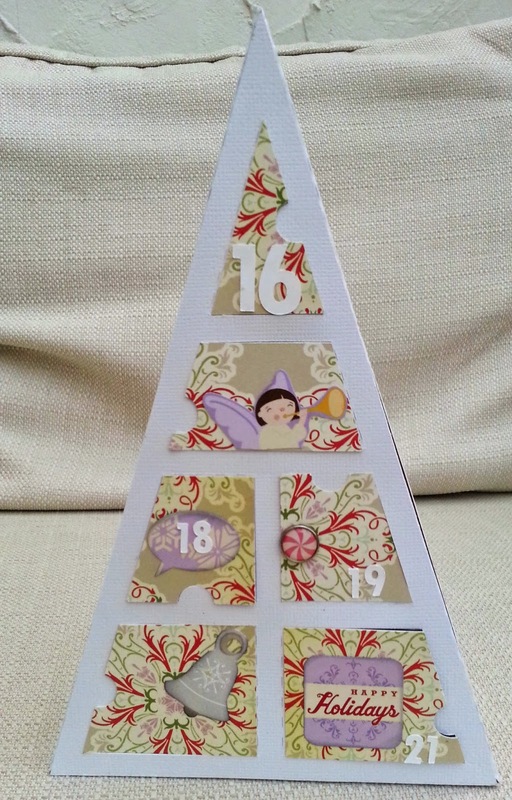 Although I'm only just posting this on my blog, this 3d advent calendar was actually completed in the nick of time and there are now 9 empty compartments. 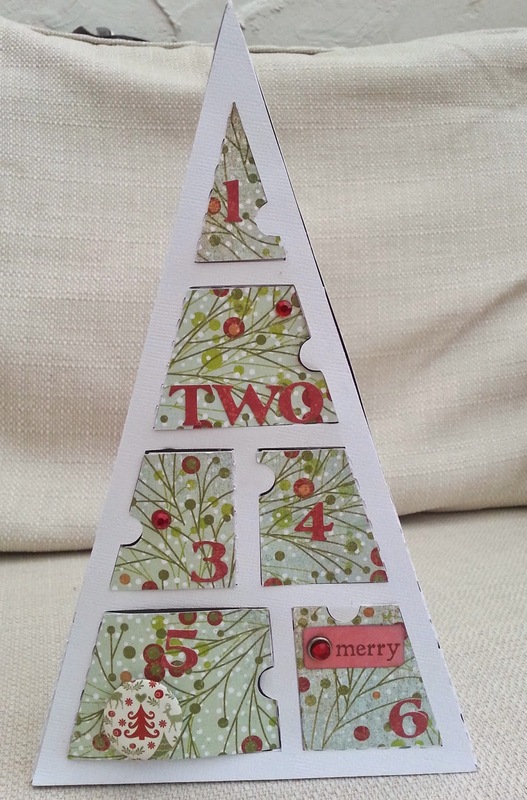 It was cut out using an SVG electronic cutting file from SVG Cuts and I used papers from Basic Grey Fruitcake and Cosmo Cricket Mitten Weather collections, and lots of different embellishments. It's a great motivator to get my son out of bed on a dark schoolday morning! Sparkle - watch : can you spot it? It's my turn to choose the challenge this week at Make My Monday, and I've chosen - Angels. 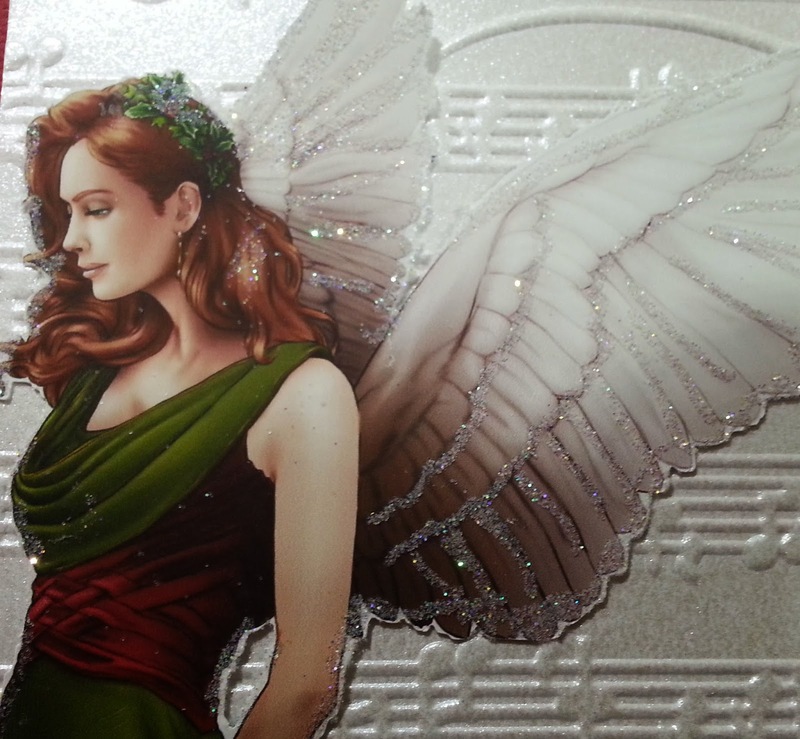 I went for a very glamourous and grown-up angel, from Debbi Moore Christmas Angel CD . 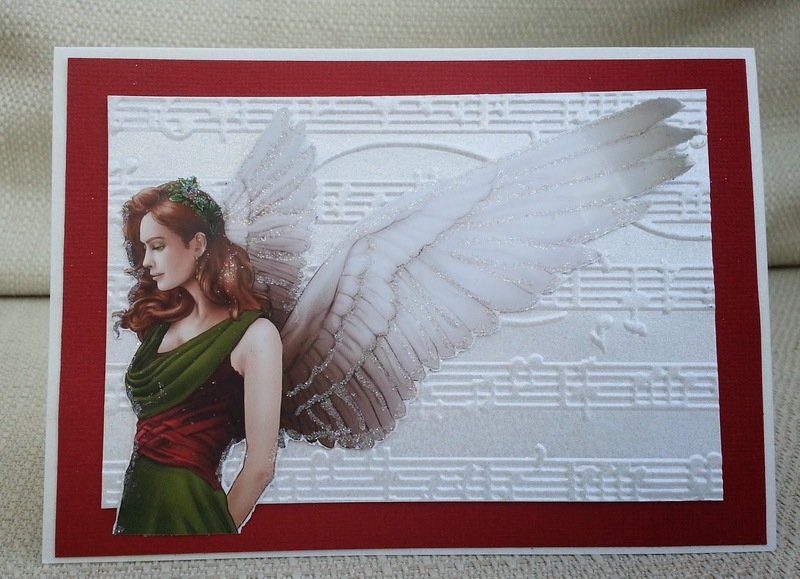 I embossed music onto pearlescent white card and matted onto red and then added lots of glitter. 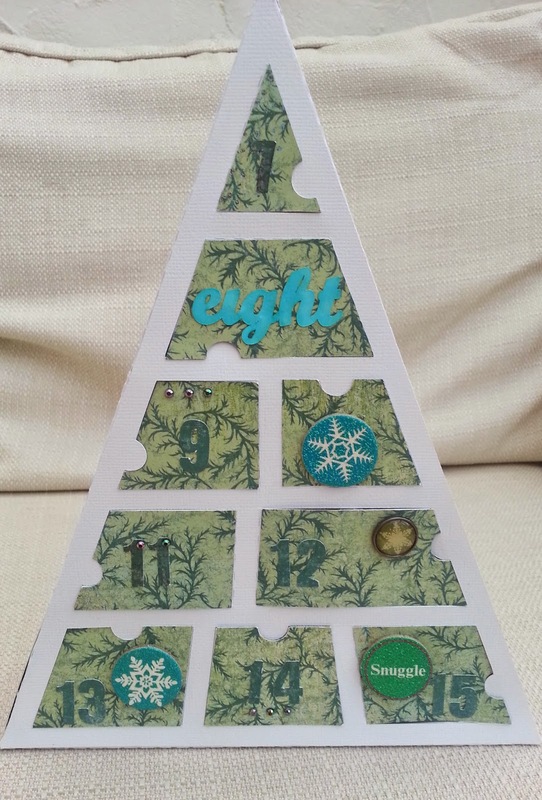 I did intend to add a sentiment and embellishment to the bottom left, but I just decided I liked it left simple. 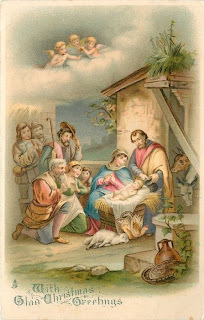 Do you like your angels cute, holy, glam or .......whatever your angel is like, come and share it at Make My Monday. 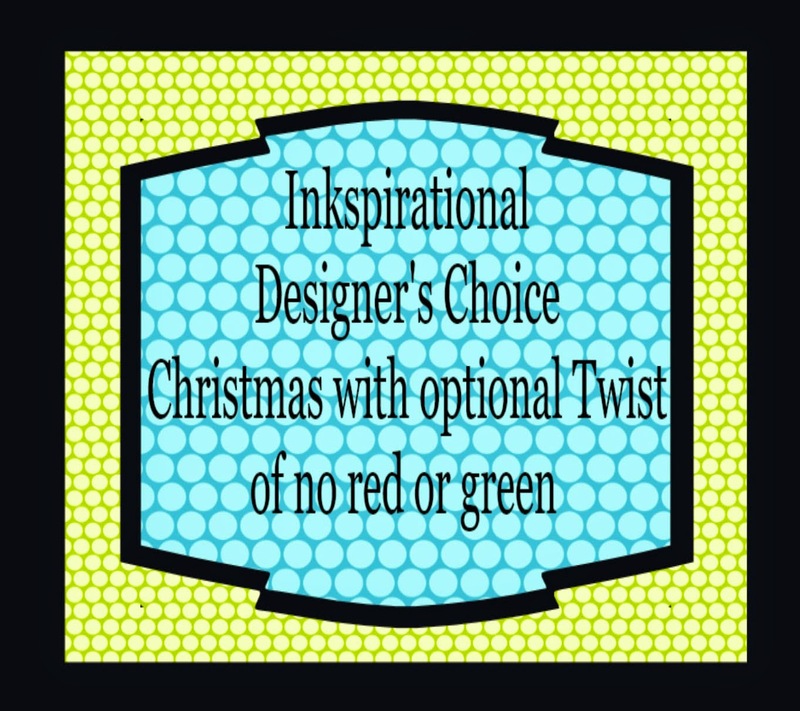 Our new challenge at Inkspirational is: anything goes with gold. 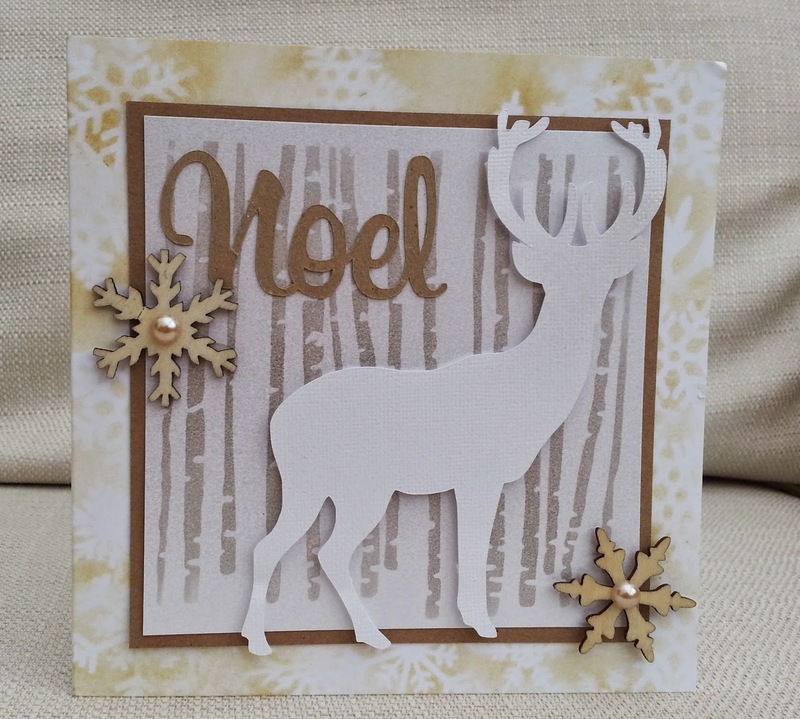 For my DT card I stuck to gold, white and cream. 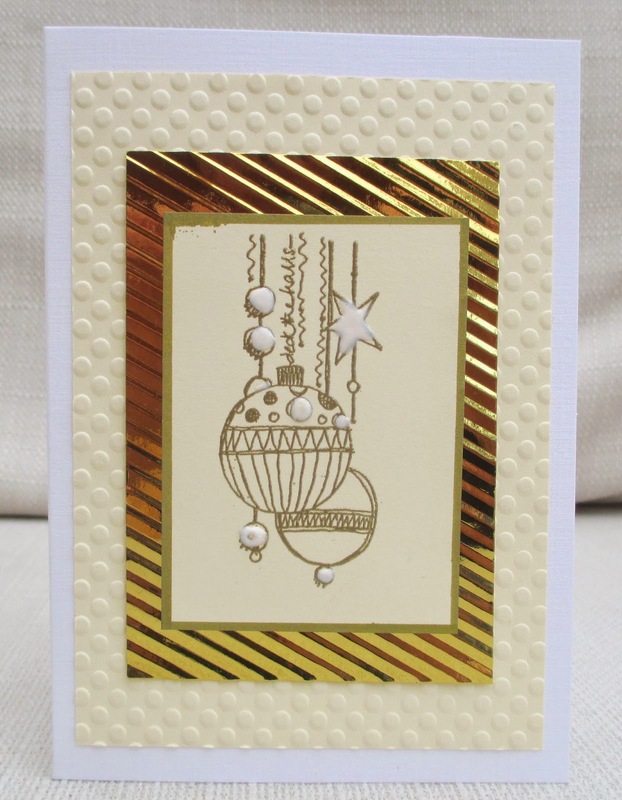 I gold embossed the Paper Artsy bauble stamp and added highlights with white liquid enamel. 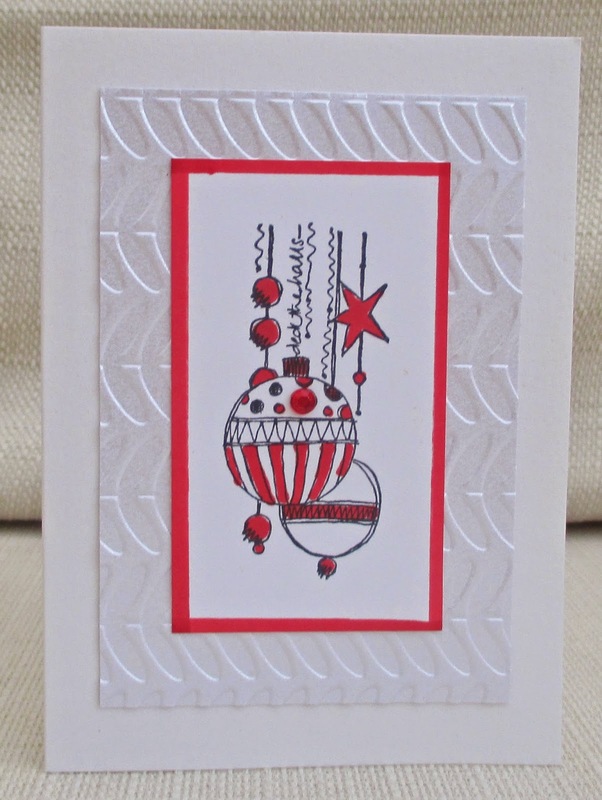 I mounted it on crimped mirror card and embossed cream card. 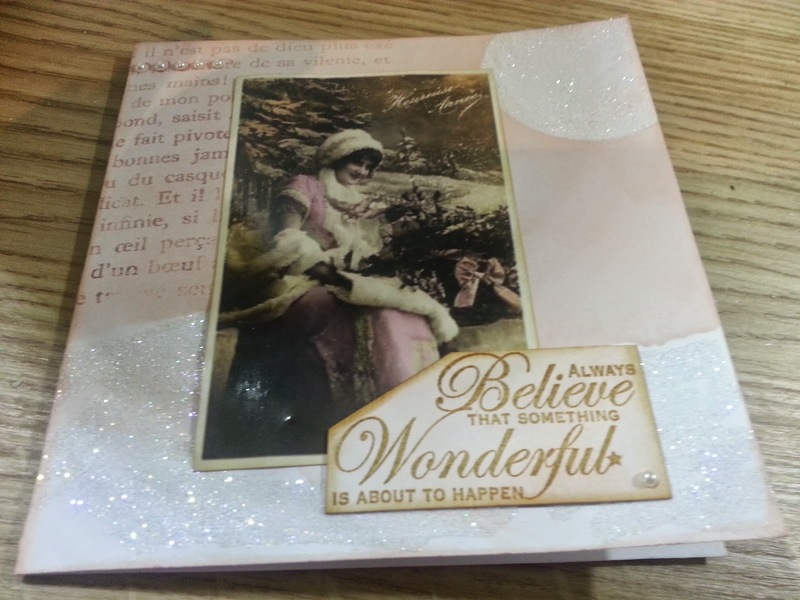 Come and join us at Inkspirational - have a look at what the DT, and our Guest Designer , Deborah, have done, and link up your own golden project. 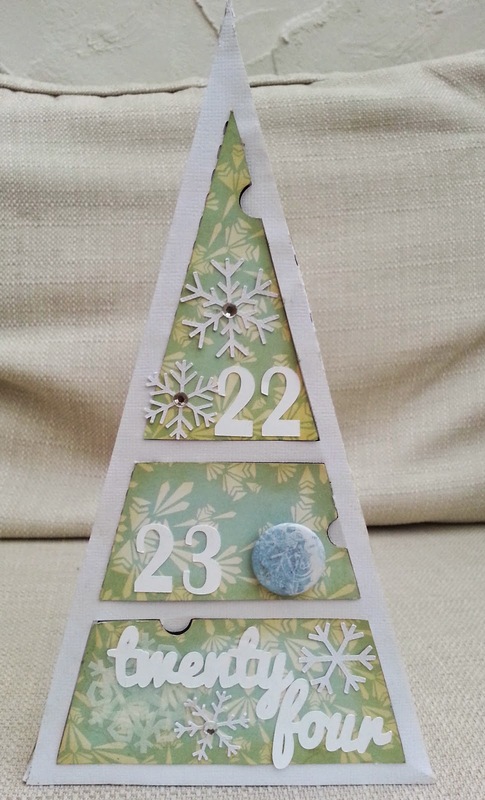 So close to Christmas but people keep on having birthdays! 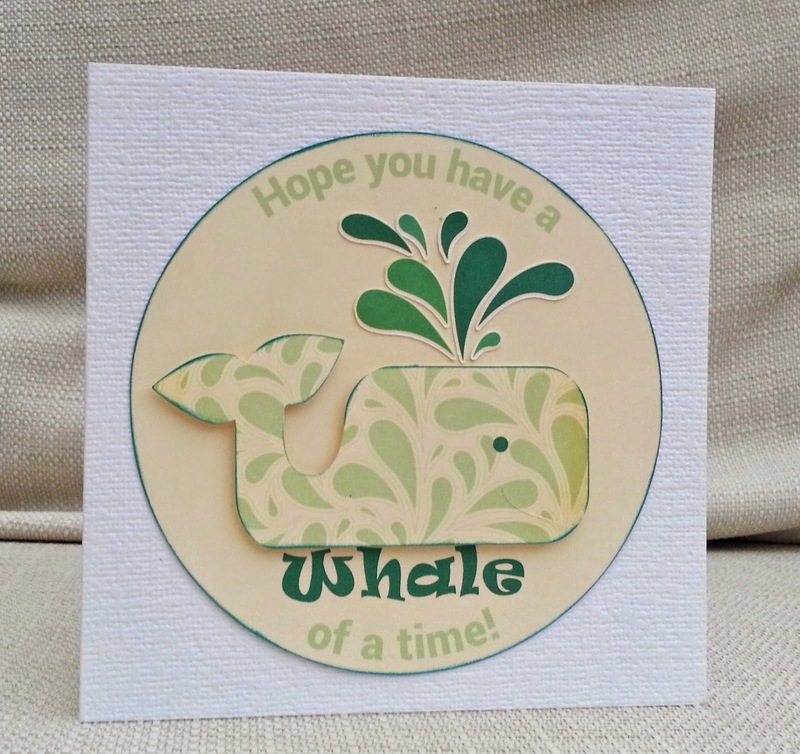 I made this using a digital version of Cosmo Cricket's Salt Air collection (the pattern and the splash) , a whale cutting file and the text capabilities of Silhouette Studio. 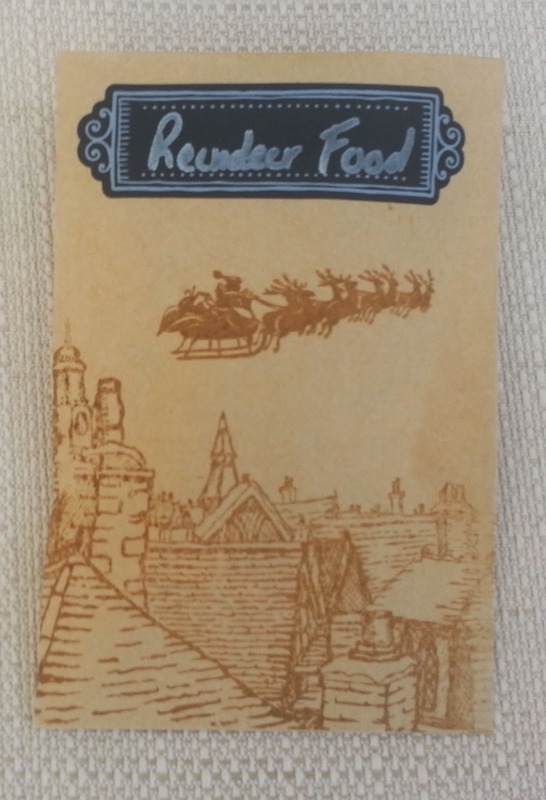 It's the penultimate week of my festive 48 and I've gone for an old favourite of mine - the deer in the forest. 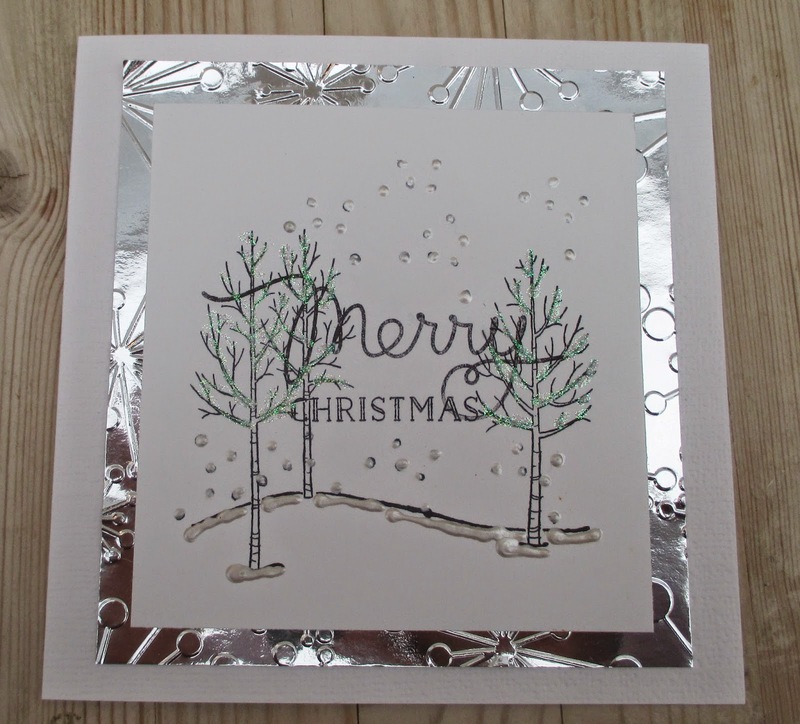 The base card is sponged with inks using a snowflake mask and I cut a stencil for the trees on my electronic die-cutting machine. 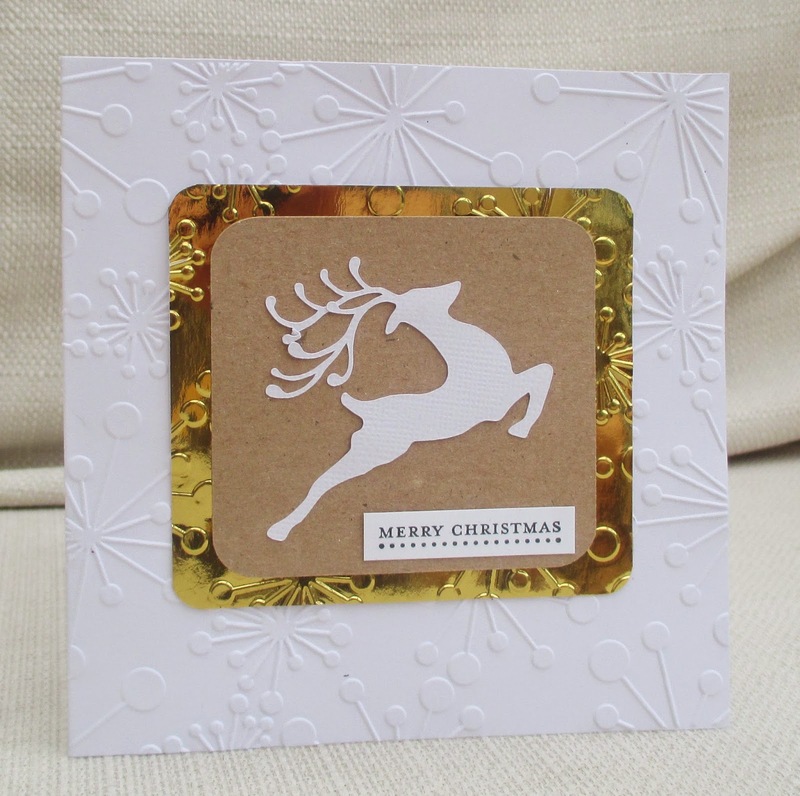 The deer is from an electronic die-cutting file I made myself (and I've used A LOT) - it is sprayed with glitter , although it doesn't show in the pic. 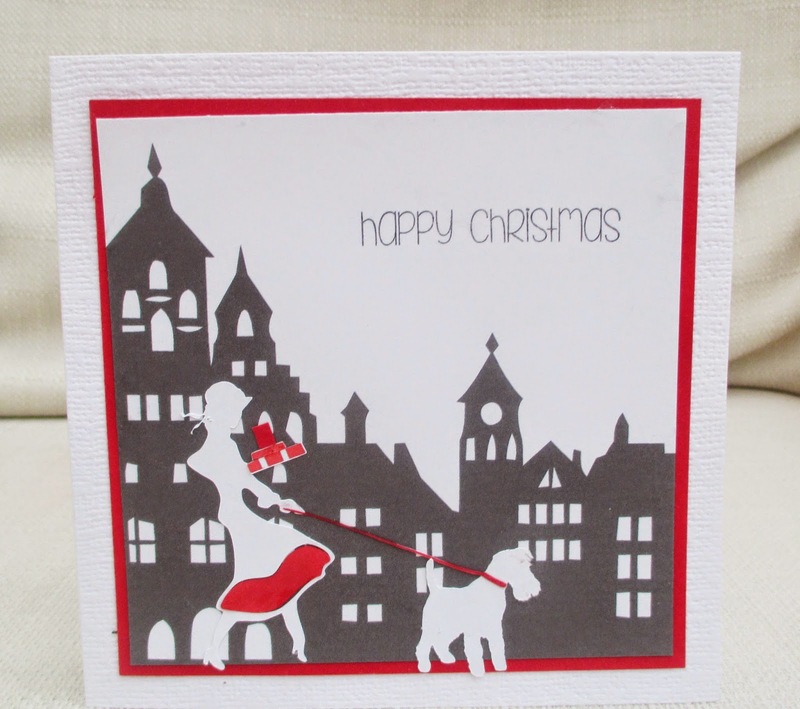 Our new challenge at Creative Cutting is...Christmas Cards. I bet you're making them, so if you are using SVG cutting files to make them, why not link up? I used the skater and the skates from the Skating set from our sponsor, The Creative Pointe. 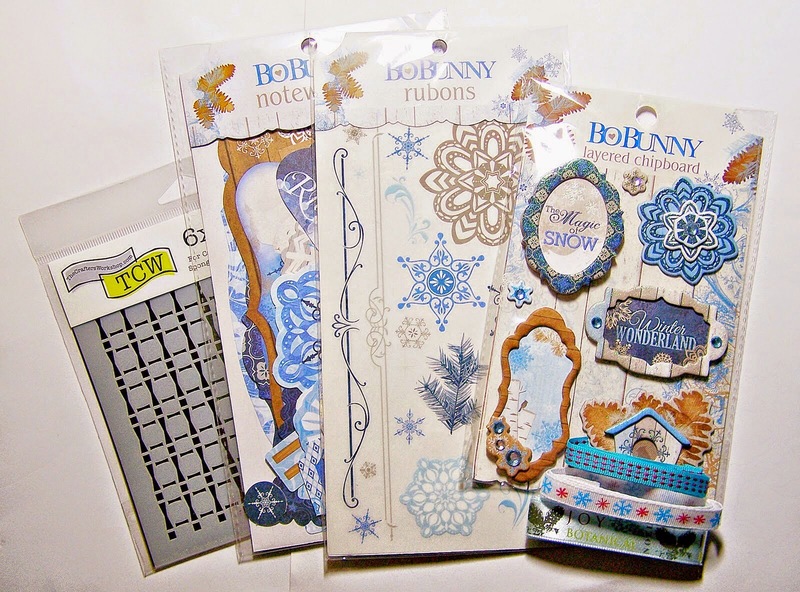 I added other die cuts, bling, glitter, flowers and dry embossing. 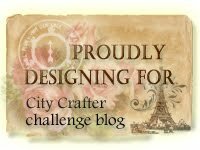 See you at Creative Cutting Challenge. If you don't mind getting a bit messy, I urge you to join in our 'Mists and Sprays' challenge at Make My Monday. Actually, you may well be one of those people who, like the professionals, can mist and spray without making a mess. But I made a mess and had a great fun. I used a cheap canvas, a stencil and a variety of sprays and I just played around and when it didn't spray perfectly , I just went with it. Several of the sprays contained mica, so there is some shimmer too. 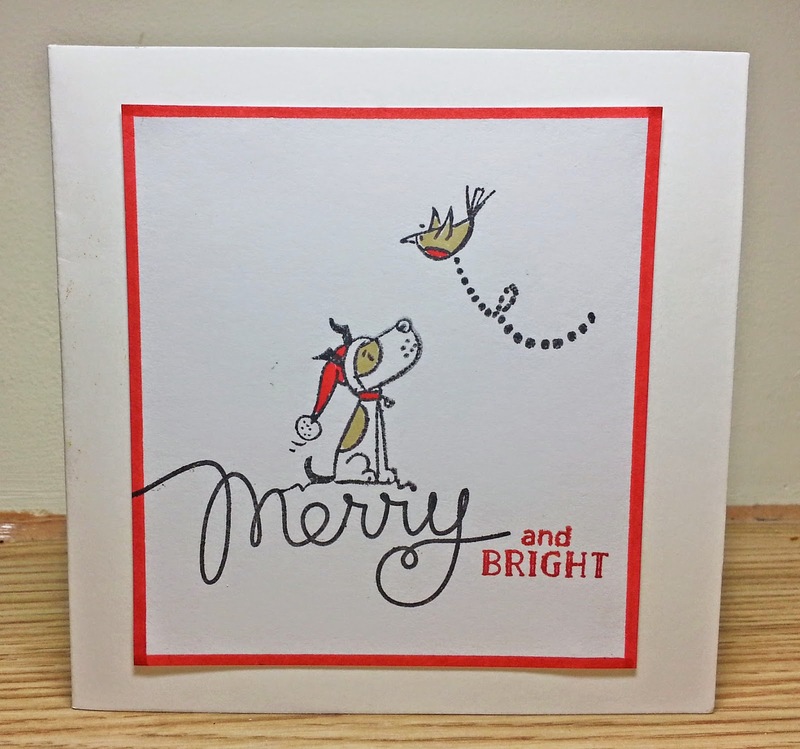 The baubles were die cuts that I coloured with mauve ink and then stamped a Hero Arts background stamp over in black. Then I sprayed them with a glitter spray and added some silver ribbon. I look forward to seeing your misty project at Make My Monday.